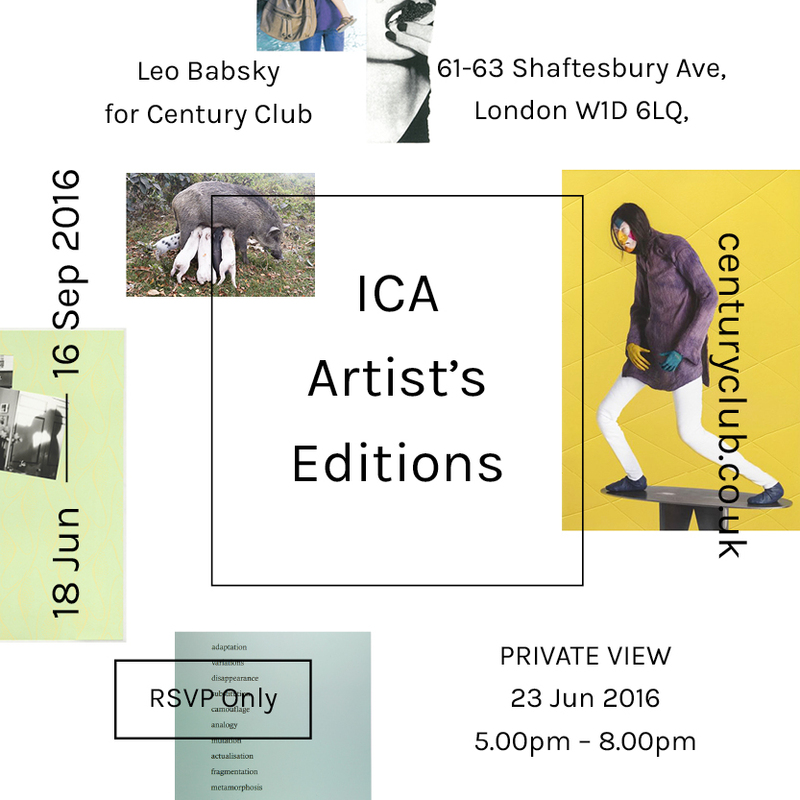 Century Club is proud to present ICA: ARTIST’S EDITIONS in association with the Institute of Contemporary Arts. Since 1946, the ICA has been at the forefront of radical art and culture and Century are delighted to be able to work with them on this project. The ICA works in close collaboration with some of todays most exciting artists to commission and produce beautiful and affordable limited editions and artworks. A selection of these pieces will go on display at Century from the 18th of June until the 16th of September with all proceeds supporting the ICA programme. Century is a private members club spread over five floors on Shaftesbury Avenue in central London. We are dedicated to supporting the arts and have a newly established contemporary art program including both revolving exhibitions and a permanent art collection. Bernadette Corporation with Benjamin Alexander Huseby, Judith Bernstein, AA Bronson, Marc Camille Chaimowicz, Isabelle Cornaro, Zhang Ding, Dor Guez, Nick Mauss, Bjarne Melgaard, Rosalind Nashashibi, Nick Relph, Prem Sahib, Daniel Sinsel, Sean Snyder, Will Stuart with Geoff Bailey, Frances Stark, Juergen Teller and Francis Upritchard.